6 sheets of reusable kitchen roll. 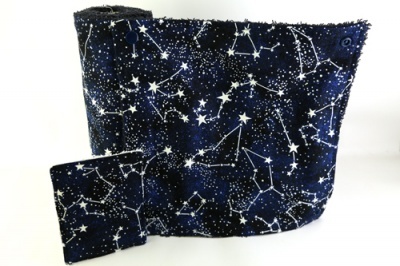 Approx 9x9 inches, with 2 pairs of snaps on each and a reusable fabric kitchen roll tube. A matching unsponge is included. Glow in the dark print. Reusable Kitchen Roll & Unsponge Set made in the UK. Glow in the dark print. 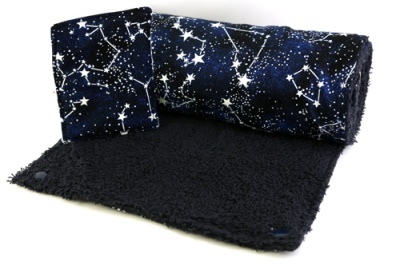 6 sheets made of a glow in the dark cotton print & matching absorbent cotton terry. 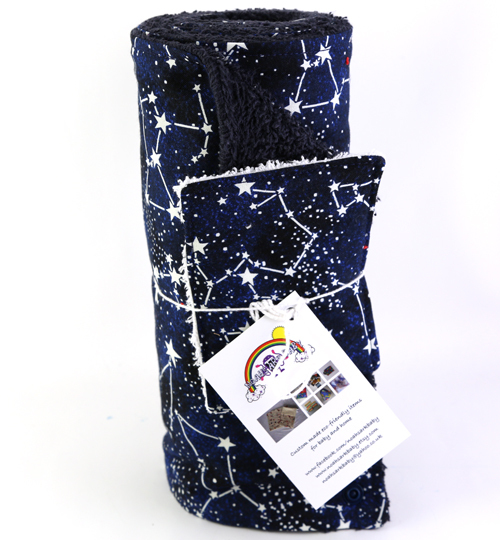 Including a fabric tube & matching unsponge! An unsponge is a reusable alternative to a dish sponge. The fabric tube can be placed in your kitchen roll holder. Each sheet has 2 easy snaps on each end so you can snap the towels together. Snaps are plastic and will withstand daily snapping and unsnapping and will not scratch surfaces. This reusable kitchen roll is ideal to be placed in your kitchen roll holder, otherwise it's sturdy enough to just freestand on it's own. Use the same way as disposable kitchen roll but without throwing it away. Just throw them in your washing machine when they are dirty. Made with care to last many years. Imagine the savings to your pocket and to the environment. Pattern placement may vary. All fabrics are pre-washed & pre-shrunk. Please, note that some fabrics are more prone to shrinkage then others, especially if washed/dried on hot. Kitchen roll carries a big carbon foot print. It's either bleached or dyed. It's not naturally white. These chemicals end up in our environment and our bodies. Recycled paper is better for the environment but it still carries a large carbon foot print. Kitchen roll is not recyclable. Commercial kitchen roll usually wrapped in single use plastic packaging. All this is extra landfill space. Reusable Kitchen roll is clean, much more absorbent, environmentally friendly and will save you money. It is easy to use. Just throw your kitchen roll in your washing machine, no fabric conditioner. To prevent stains soak in cold water before the main wash. Wash between 30-60 degrees. That's it. Wash with like colours for the first few washes. This product is excluded from any promotional discounts.